The Question? The Loss . . . I hope the Question is, ‘Where has Jeff been lately, what with no new posts on wingedbeauty.com?’ After all, butterflies are now . . . flying. Regretfully, the answer is Jeff is getting over the passing of his father on May 16, 2015 in the VA Military Hospice in Dublin, Georgia. The question asked so often, ‘How old was he?’ 100 years old. The Hospice, his second since the massive stroke in January, kept anticipating his imminent passing, though he fought that too, and left us months later. Butterflies. I watched them as Jack Zablow was buried in the Georgia Memorial Veterans Cemetery in Glenville, Georgia, with full military honors. I watched those winged beauties as they flew here and there in the cemetery. They have this wonderful effect on me, and helped as I stood with my brother, Stanley, bereaved on a gorgeous Georgia day. Butterflies just make me feel good, truth be told. This male Tiger Swallowtail allowed my very close approach on that 2014 morning in Trails at Raccoon Creek State Park , up north here in Pennsylvania. Fresh, strong, and very shmeksy. Butterflies tantalize my eyes, make me smile, challenge me, and . . . remind me of those who have meant so much to me. See one of my Mourning cloak posts, for my magical moments in 2008. No, not 5 minutes. You’ve got . . . 5 seconds. There in almost a blink of the eye, you set yourself down on your knee (my left) and check your aperture and shutter speed, via your built-in light meter. Look up. Good it’s still there. Fast. Focus for eyes, abdomen, antennae, are you positioned correctly, with lens and butterfly properly aligned? A cloud comes from Huh? and reduces the available light. Readjust shutter speed. Still there, yes, Thank Y-u. Lightning quick thought. Do I have the wings? Are the 4 wings focused? It is a butterfly, and you want all who see your image to think: What a beautiful butterfly. What kind is he? It’s almost always “he.” Save that bubbling question for another time. The wings of butterflies are all exquisite. All of them. How do I know? I see them in real-time, usually from a distance of 18 inches to 24 inches from my lens. Who amongst us have viewed magnificent jewelry at Christies New York and Sotheby’s New York’s pre-sale exhibitions of magnificent jewelry? I have, many times. The wings of butterflies must give the craftspeople of Cartiers, David Webb, Van Cleef & Arpels, etc. fits, because they have never outdone H-s craftsmanship. If the wings don’t sing to you and I, then the image didn’t deliver. It’s the wings, for butterflies. 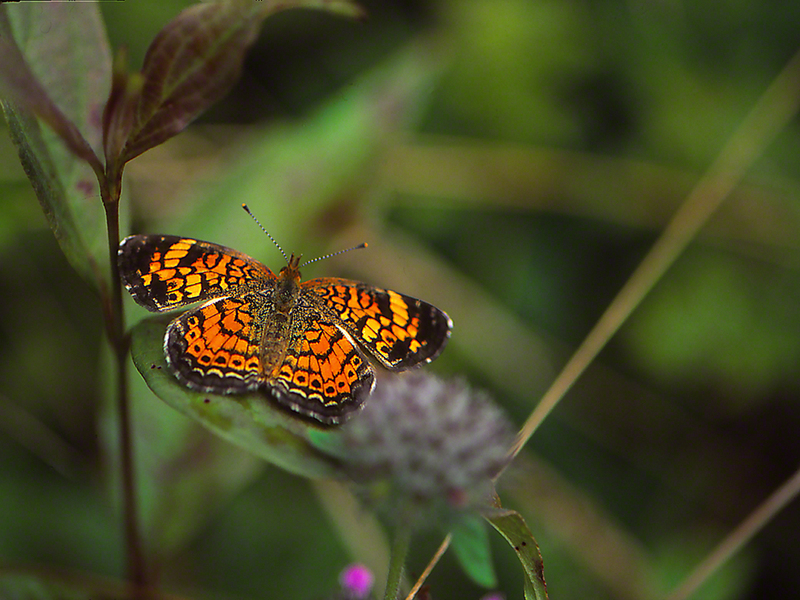 This Pearl Crescent flew in Raccoon Creek State Park, 37 miles west of Pittsburgh. Go For the Eyes . . .
What’s getting better each year? Well, the easy availability of gluten-free foods, the useful gadgets in new cars, and most importantly here, the real increase in the number of butterfly images that are being shared. Shared here in the U.S. and shared across the globe. It’s very difficult to photograph butterflies. They are usually very wary and apprehensive. 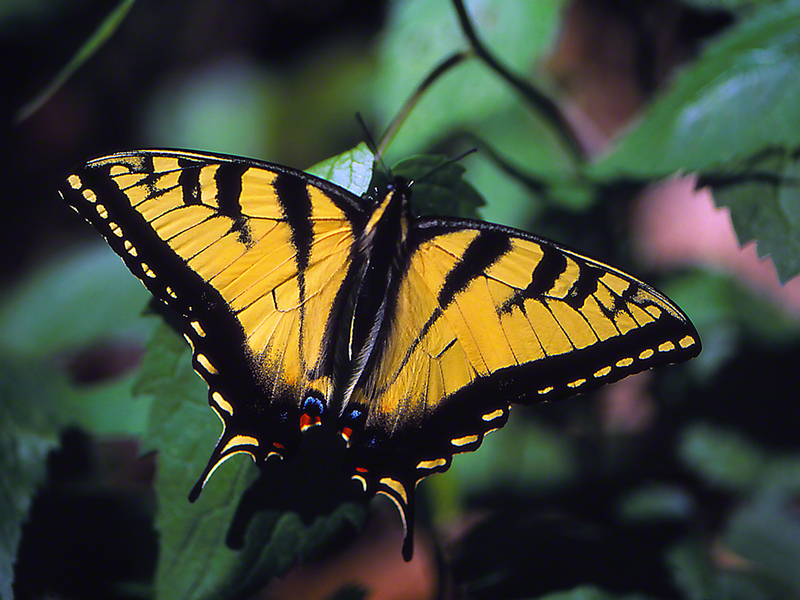 Most people go look for them after noontime, and that’s when most butterflies refuse to allow us to approach them. We’re another threat, added to the long list of threatening fliers, crawlers, slitherers, jumpers and so on. That exponentially increases the difficulty of scoring great photographs of butterflies. There are some out there who must use certain gimmicks to capture their images. I’m out there alot, and I still can’t get my butterflies to pose on the top of a flower, with head held high, and wings perfectly positioned for the camera lens. Tricks can make that possible. Not for me. The eyes. I work to capture better images of butterflies’ eyes. Many years ago, I read alot about this, and agree that a good image will feature good to better view of the eyes of your butterfly subject. This is tough to do, and forces us to not use many exposures (many, many exposures). Keeping this discussion short, consider that all images of dogs, birds, horses, snakes, turtles, cattle, and cats come with good eyes. That is expected and required, for acceptance. 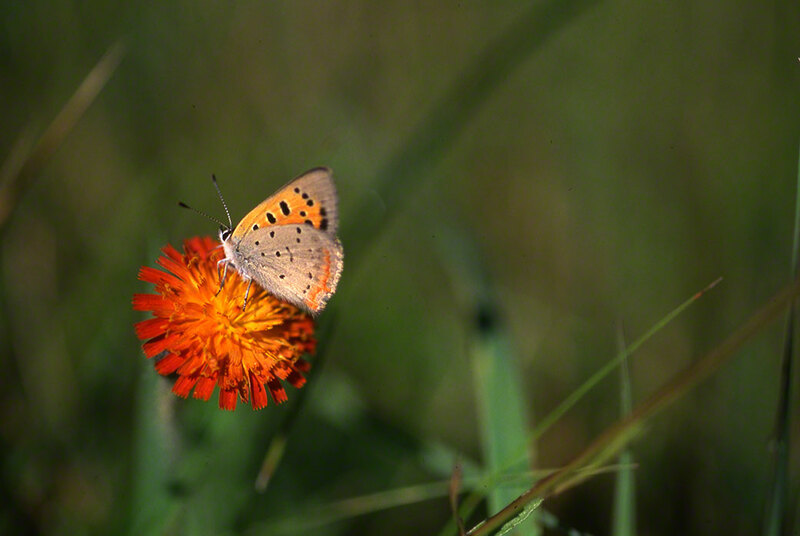 This American Copper Butterfly, perched on hawkweed, met my own threshold requirement for passable eye clarity. I shoot macro- and that comes with a very limited depth of field. Good eyes, good wings, good body (head-thorax-abdomen), good antennae, good legs, good proboscis and also good eyes? Well, I say Yes. That is The challenge. PS. If you’re interested in the technique that I’ve developed over time, check out the step-by-step section of the blog. They left way before I could see them. One type was darner huge. I could see some of them as they chose a perch a bit down the trail. Others took a turn in flight, enabling me to seem them. All of the Georgia darners a few weeks ago eluded my camera lens. Rock Hawk trails near Eatonton, Georgia was the home of beautiful, unapproachable darners. The darner in this image was taking advantage of the early morning sunlight. Warming rays of sun that fueled its “engines” assuring that within minutes, rocket-like flight would let it capture winged insects, and elude all, including curious photographers of butterflies. 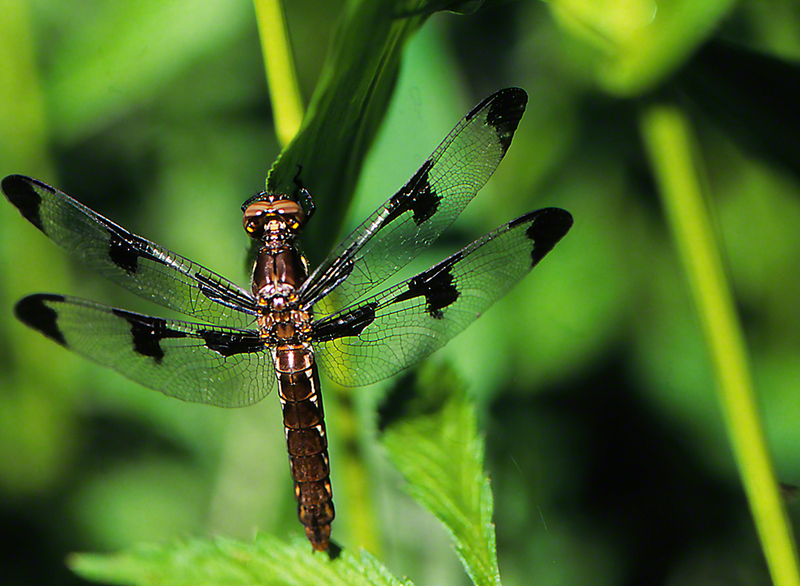 A very long time ago, I posted a blog with an image of a darner. I offered my boyhood experience of catching one in flight, with my bare hard. Never, never will I do that again. Funny, though. Their bite is past painful, yet not one of the 97,359 darners I’ve come across, have ever been aggressive to me. For that alone, I respect darners (AKA dragonflies). Oh, qualify as ‘winged beauties?’ Big Yes on that. 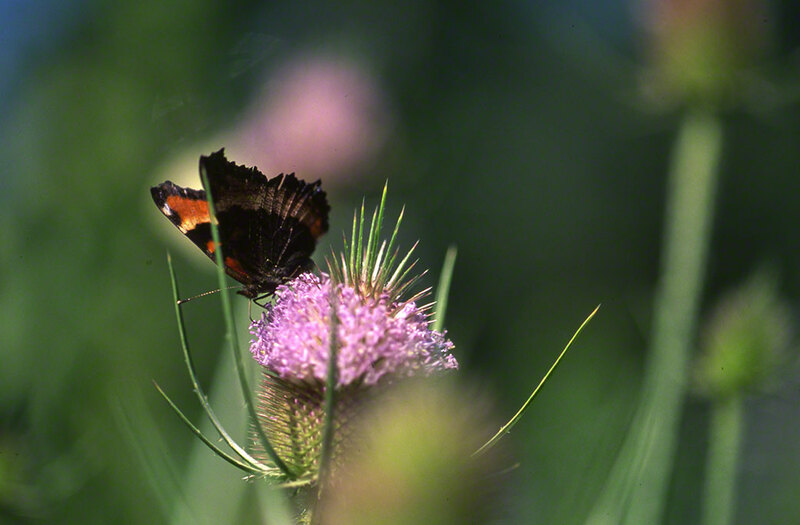 I’m asked many interesting questions with my work photographing butterflies. This one was bulls-eye to the reason for what I do. The Question? Which of your butterfly photos do you remember as being the most exciting? Good question. it goes right to the heart of why do I do what I do? Almost no one, and no one I know, does what I do nowadays. This July 25th image kept catching my eye, as I searched among more than 400 images for the answer to this query. Burma? No. Mexico? No. Salvador? No. Provence? No? Mongolia? No. Raccoon Creek State Park, here in southwestern Pennsylvania. A bright sunny morning, and I was there well before 9 A.M.. The usual customers came to the nectar bar, that day offering the following treats: Milkweed nectar, Teasel nectar (featured here), Black-eyed susan nectar and many, many others. What an extraordinary place to be, for this lucky boy from Brooklyn! Then . . . Holy Cow! What’s that? It just swooped in, and descended on this teasel flowerhead. My first-ever Milbert’s Tortoiseshell!! (Exclamation marks required, because i was beyond ecstatic). Could I approach? I did, and it didn’t panic. Closer (dare I try?)? Yes. Raised my camera lens. Still there, Whew! It opened its wings, wide. I was stunned. Why? The wings were parallel to the bright sun and, . . . Flames danced across the orangish-reddish bands. Flames! I had never seen anything like it. Ever. I tried to keep my mind clear, and I just kept shooting, as it offered good looks to me. I was yes, praying that 1 or more of my exposures would satisfy. That’s why this post is entitled ‘Butterfly Battle Stations!’ A rush of adrenaline, ecstasy, and appreciation, as G-d shared a bejeweled treat with . . . me.